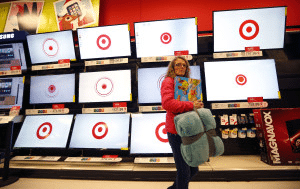 National retail outlet Target offers a variety of products at somewhat decent prices at a wide selection of locations across the U.S. 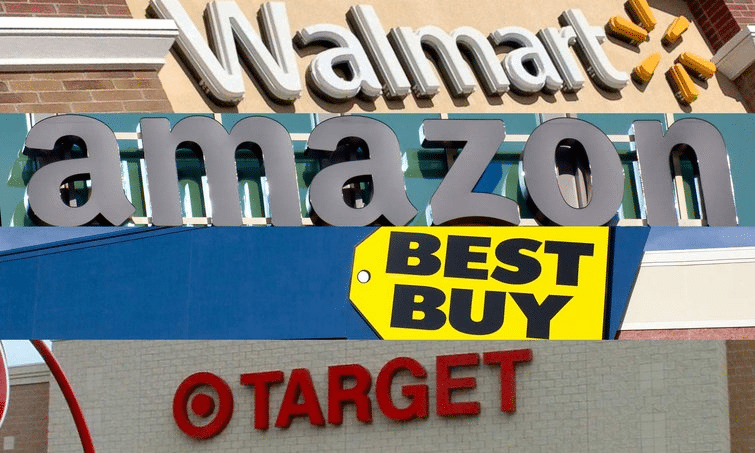 But what exactly should you buy and what should you avoid when shopping at the retail giant? 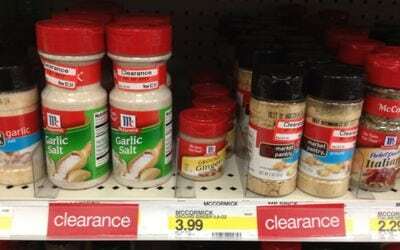 While you can save money at Target, certain items are a no-buy. Things to buy range from a large selection of home decor items, foodstuffs, and small utilitarian items useful around the house. When trying to determine what to avoid, keep in mind that you can find many of the items on the avoid list for less at competing retailers. Sometimes, though, the reason to not buy something at Target deals with quality issues sometimes encountered by customers. On your next trip to Target, keep the do’s and don’ts of what to buy in mind. This can help you save money and find the best quality of item for the price. This list of what to and what not to buy can make your next shopping trip to Target a success. When shopping at target there are some things you should definitely by. 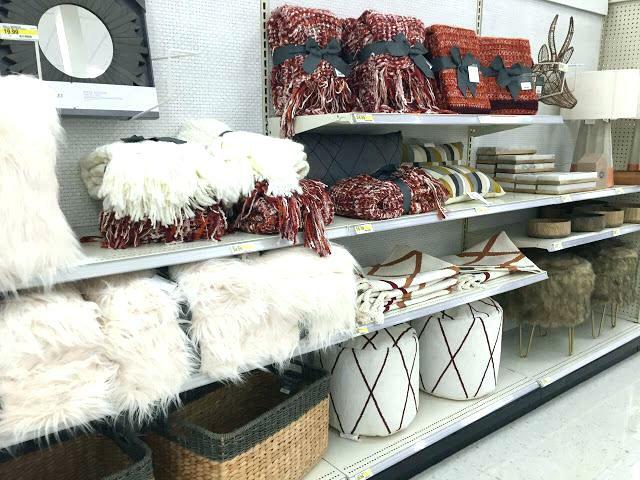 Whether you need a few groceries, some home decor items for around the house, or a new outfit, Target usually has just what you need. Here are some of the items that you should definitely buy while shopping at Target. 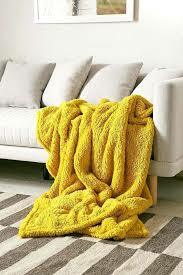 The throws found at Target allow you to instantly upgrade the look of any space in your home. Some of the choices you have when shopping the store’s wide selection of throws include a variety of size, materials, and colors. 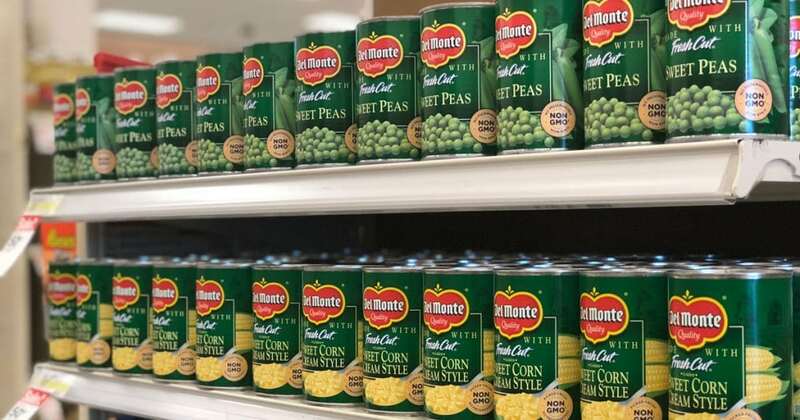 The canned good aisle at Target contains a variety of fruit and vegetable items, most at low prices. If you spring for the store-brand Market Pantry varieties, you can end up paying only $0.49 a can. Combine these low prices with the Target app’s five-percent discount, and you are looking at some major savings on your grocery bill. Target also offers a large array of home decor items, ranging from more modern to rustic, all at great low prices. The selection of home decor items include lamps, mirrors, and wall decor, amongst many other types. 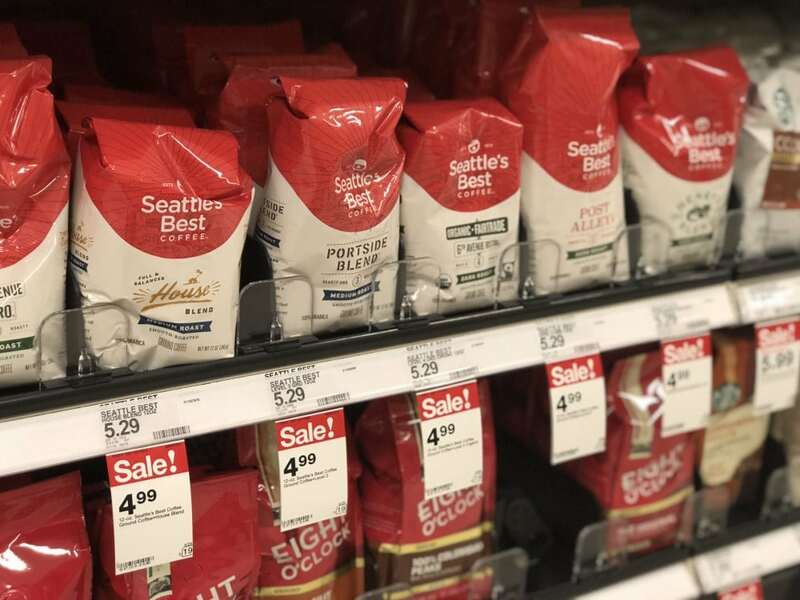 You can also find a wide variety of coffee options at Target, most at very affordable prices. In addition to ground coffees, Target also sells K-Cups for Keurig coffer makers and coffee beans that you can grind yourself to make fresh coffee. 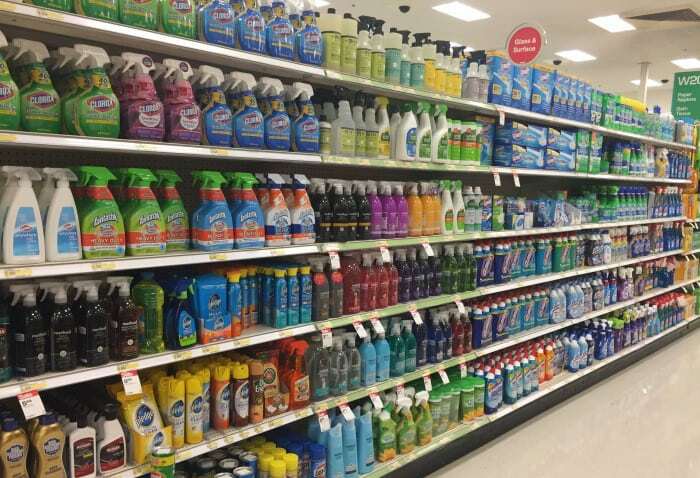 Another item where you can save money at Target includes the selection of home cleaning products the store offers. Best of all, the company offers a variety of green cleaning products, such as those made without all of the harmful chemicals found in many cleaning products. 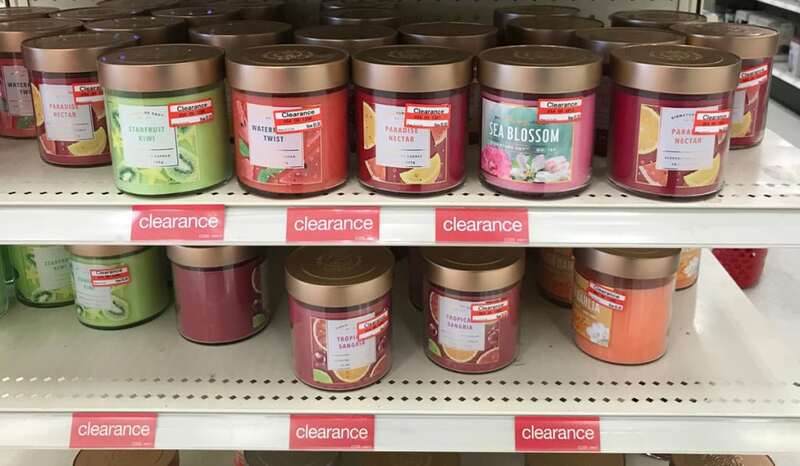 Target also sells a variety of scented candles, including the popular Chesapeake Bay Cashmere Plum candle. In addition to scented jarred candles, the store also sells soy and unscented jar candles, as well as pillar and flameless candles. 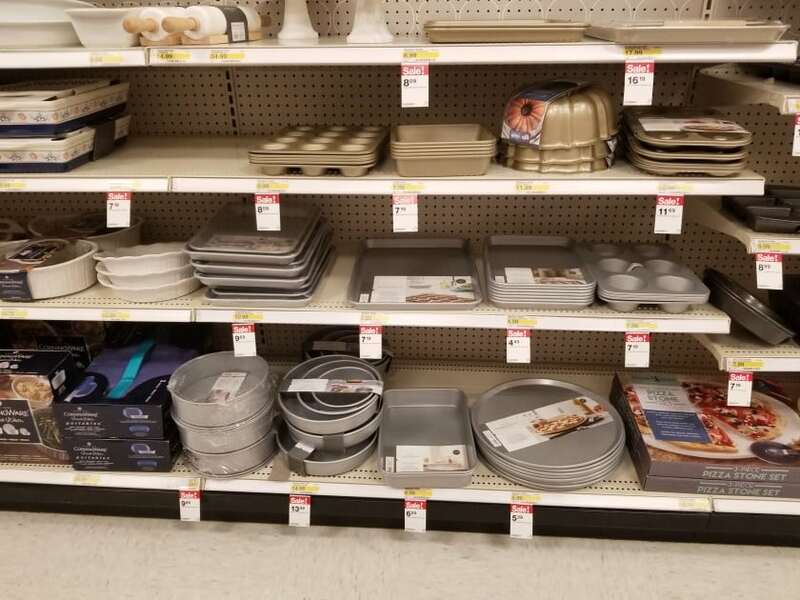 If you need bakeware, Target has you covered. Some of the many items sold at the store include bakeware sets, bread and loaf pans, and cookie sheets in varied sizes. You can also find cake pans, measuring cups, and mixing bowls, among other cookware items. 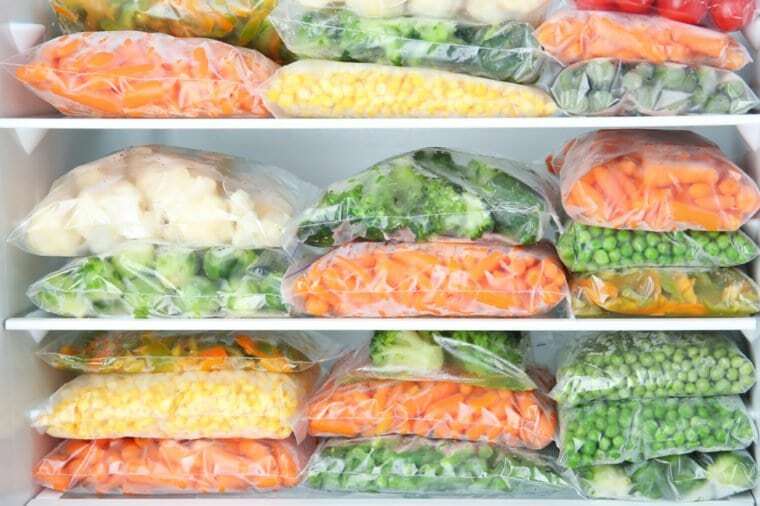 The fact that frozen fruits and vegetables are said to be better for you than canned ones makes it great that Target offers a variety of frozen food, including fruits and veggies. To save even more money, consider buying the store’s Market Pantry brand. One of the things Target is especially known for is its wide selection of makeup products. Designed for the thrifty shopper, Target’s selection of makeup products include lipstick, tools and brushes, and makeup sets, among many others. Sold under Target’s Simply Balanced label, nut butters at the store are sold for a relatively low price. 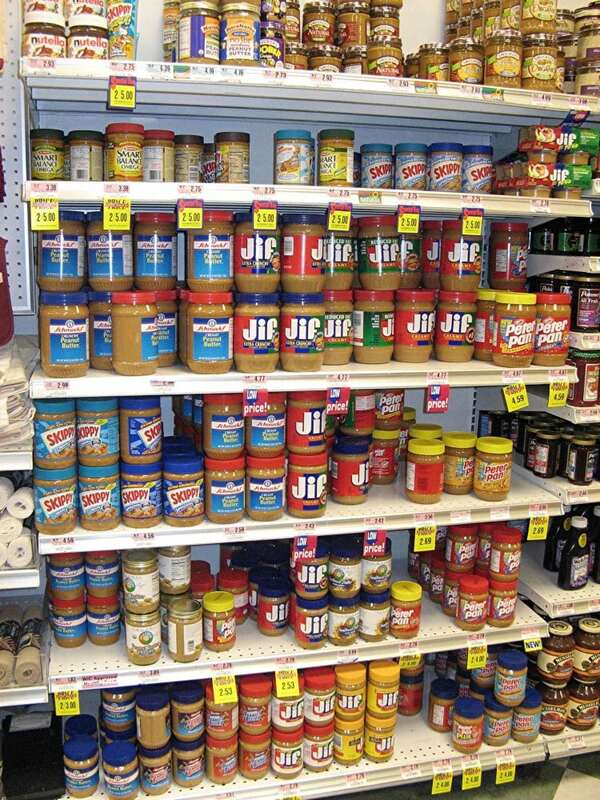 The wide variety of nut butters available include cashew, almond, and peanut butter. The many nut butters sold at Target give you some healthy options that won’t break the bank. Target sells many different brands of hair dryers, including the particularly prized Harry Josh line of products. 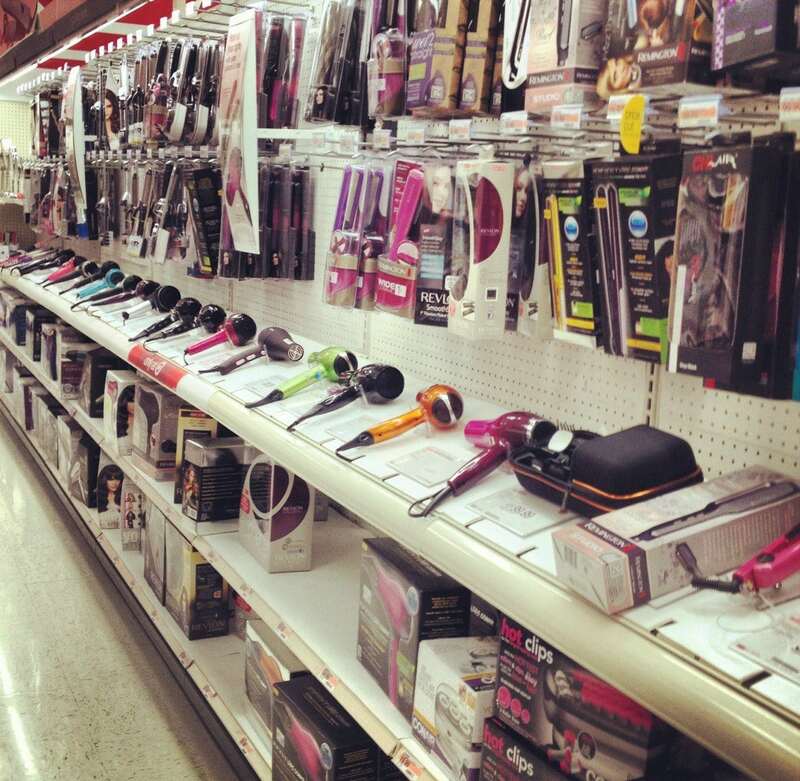 Other brands found at Target include Conair, Revlon, and Panasonic, all at affordable prices. 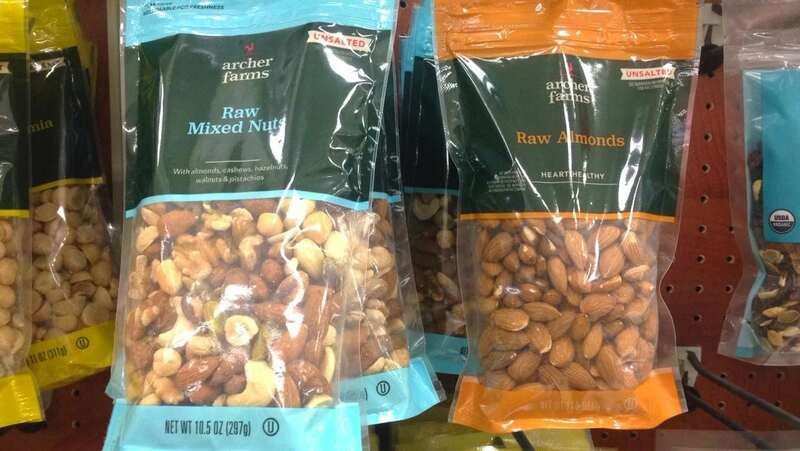 Target also sells a large array of nut products, including cashews, almonds, peanuts, and others. If plain nuts aren’t to your liking, then you can choose from a variety of roasted, sugar-coated, and other flavors to fit any palette. If you shave, then a shaving kits is one of the best ways to care for your face. Many such kits, which can be found at Target, come with quality, interchangeable razors, specially made shaving creams, and restorative balm to help battle irritation. 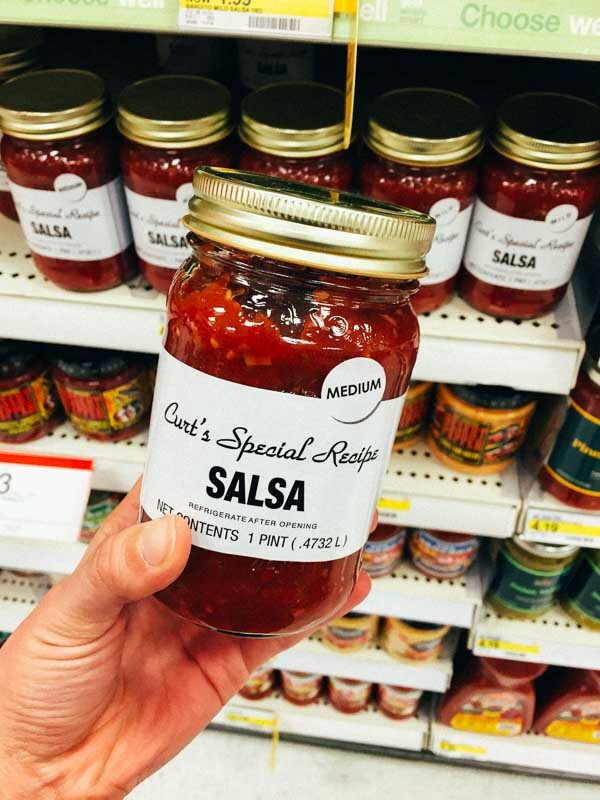 Target carries many different salsa products in different flavors, including pineapple peach, spicy habanera, and plain salsa varieties. To save even more money, consider purchasing one of the store-brand salsas, such as Market Pantry, Archer Farms, and Simply Delicious. 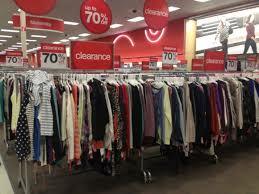 Target also carries a wide selection of clothing for women, men, and kids in a wide array of popular brands at great prices. Depending on the season, clothing includes shorts and bathing suits for the summer and pants, coats, and jackets for the winter. 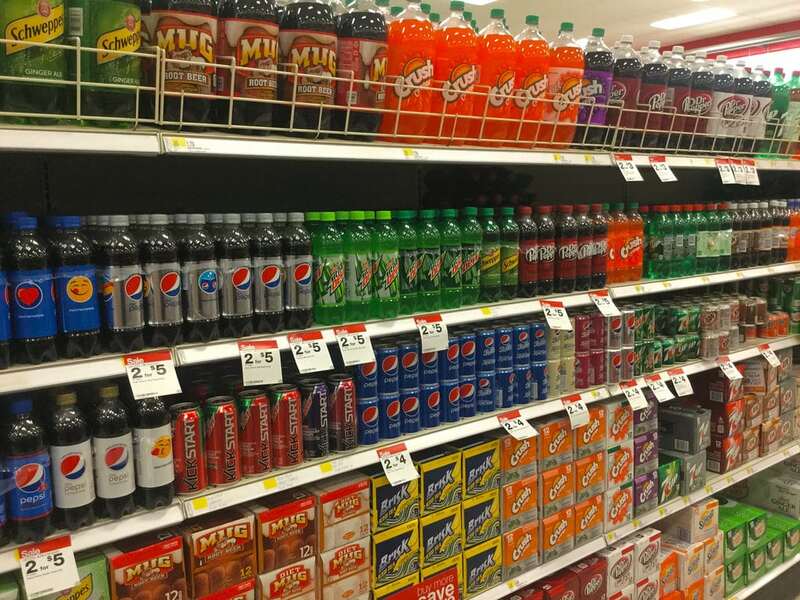 Target usually has sales on various soda products, including two-liters and six packs of such brands as Coke, Pepsi, and others. Add in the five-percent off from the Target app and you could be looking at some great savings. 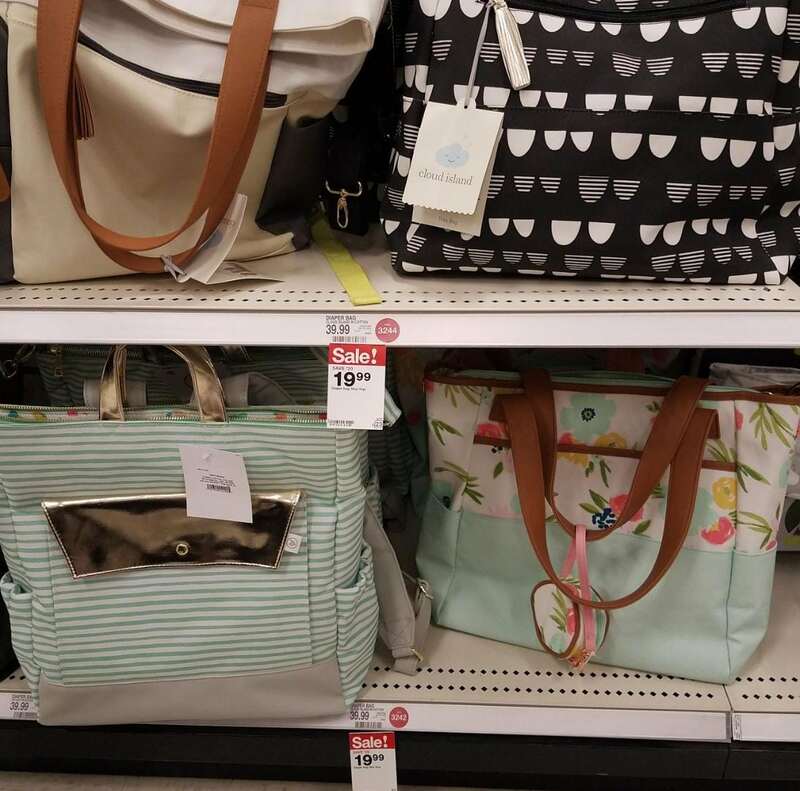 If a handbag is what you need, then check out the wide selection at Target, including various sizes in a choice of many popular brands. 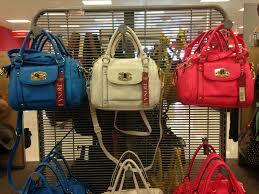 Handbag types include totes, clutches, and satchel purses, all at a price that shoppers can afford. 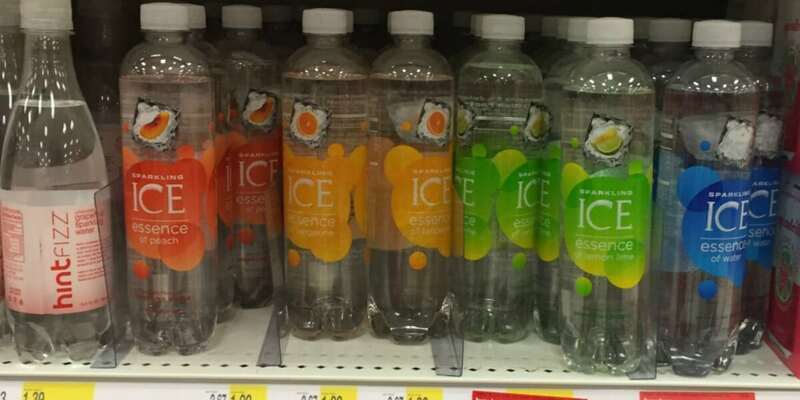 You can also find your favorite sparkling water brands while shopping at Target. In addition to popular name brands, such as San Pellegrino and Perrier, you can also find a variety of sparkling water products in the store’s Market Pantry brand. 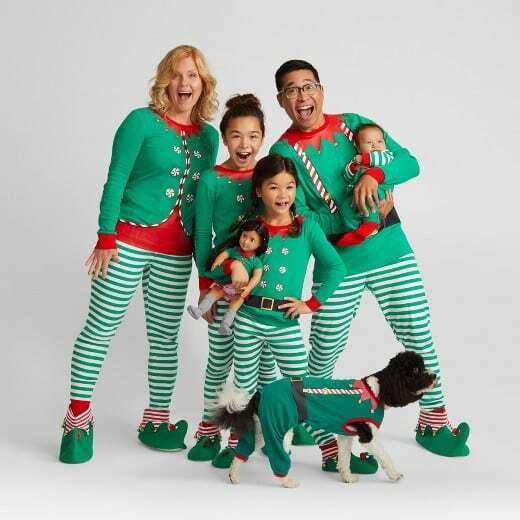 Buy sleepwear for the whole family, including your pet, at Target. Sleepwear selections include cozy bottoms, tops, and robes in a variety of different brands, colors, and sizes, at affordable prices. Pajamas are perfect for Christmas morning, watching a movie, or just lounging around the house. While spices usually cost a lot at the supermarket, at Target they are relatively cheap if you opt for the store’s Market Pantry brand. This includes popular spices, such as garlic, cinnamon, and cumin, among many others. One thing a mother or father needs when caring for their baby is a diaper bag. Target has mothers and fathers covered with a selection of diaper bags designed to hold everything they need to care for their baby when on the road. 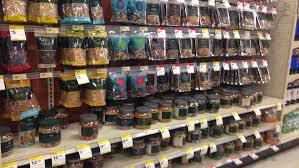 The trail mix at Target is some of the best out there, especially their store-brand Archer Farms line of trail mix. In addition, the store sells a wide variety of different trail mix types to suit different tastes, including chocolate M&Ms, peanut butter chips, and salty peanuts. 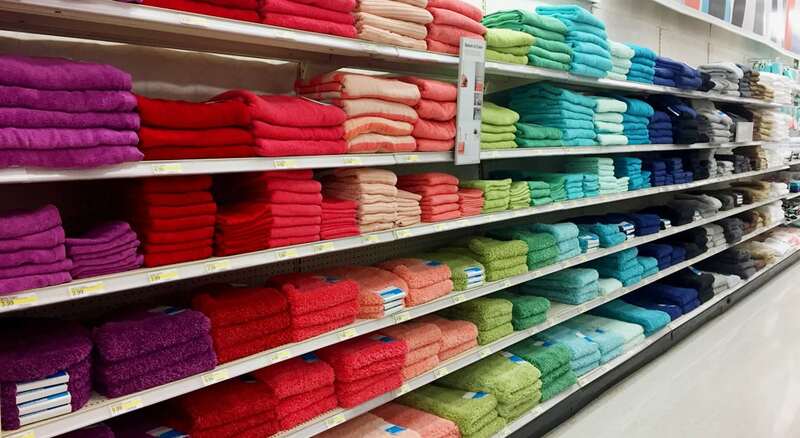 Target also as a selection of different types of towels for use around the home, including bath towels, hand towels, and bar towels. You can even opt for the store’s Made by Design line of products to save even more money. 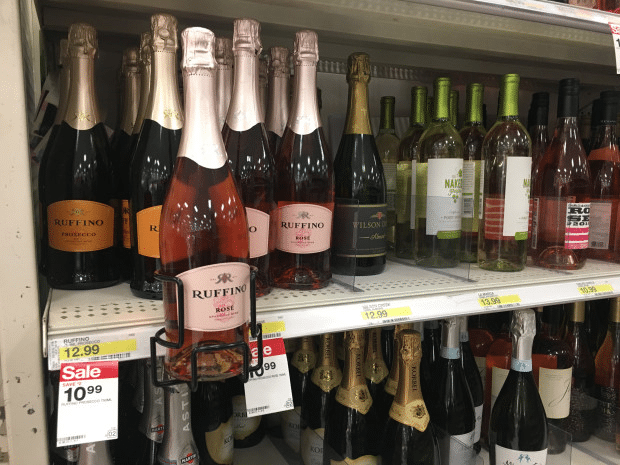 In addition to other alcoholic beverages, Target sells wine at many of its stores. One of the most popular wines at Target is the California Roots brand, which offers a cabernet, red, moscato, pinot grigio, and chardonnay, all at great prices. 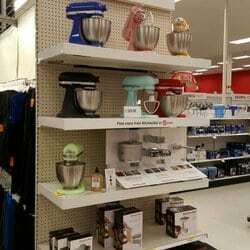 Target sells small kitchen appliances, such as mixers, microwaves, and coffee makers. They also have a good selection of colors to match any kitchen decor. Some more of the many popular items available include slow cookers, toaster ovens, griddles, and waffle irons. Another popular product at Target are the wide selection of protein powders the store sells. 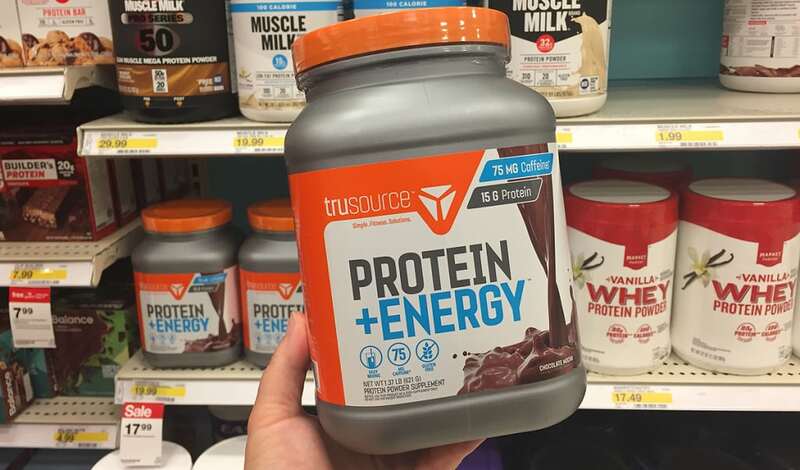 Target even has its own brand of protein powder, called Tone It Up, that comes in such flavors as chocolate, vanilla, and coconut. 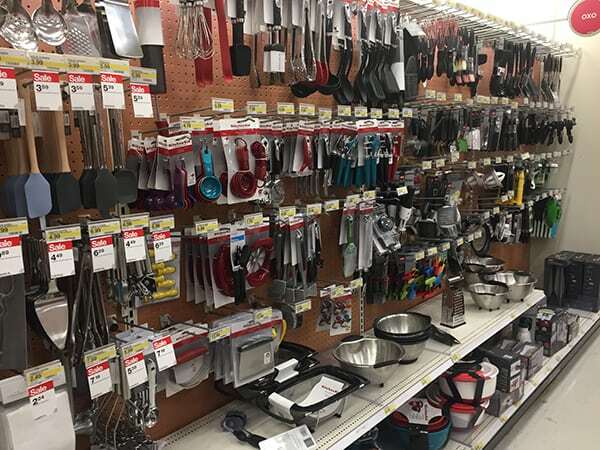 If you need kitchen utensils, then check out what Target has to offer, including individual utensils and utensil sets. Brands sold at target include KitchenAid, Ayesha Curry, and other popular brands. The kitchen utensil selection at Target includes spatulas, graters, and stirring spoons. Dessert items sold at Target include many different types, with some of the most popular being its Archer Farms brand cheesecake bites. 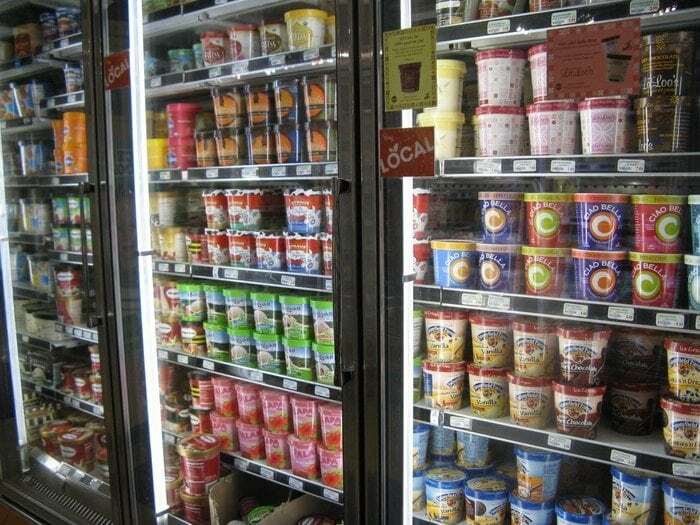 In addition, many Targets also sell a huge inventory of ice cream in many different brands and flavors. 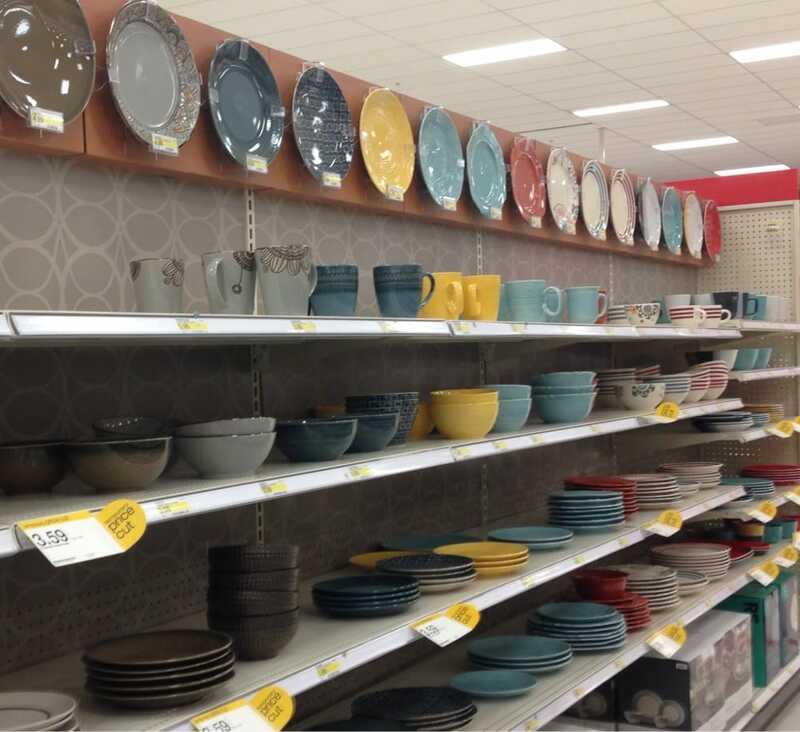 Whether you need plates, bowels, or serving utensils, Target has just what you need. The store offers a selection of sturdy and functional items for use to serve meals in a variety of colors and designs to match the decor in your home. 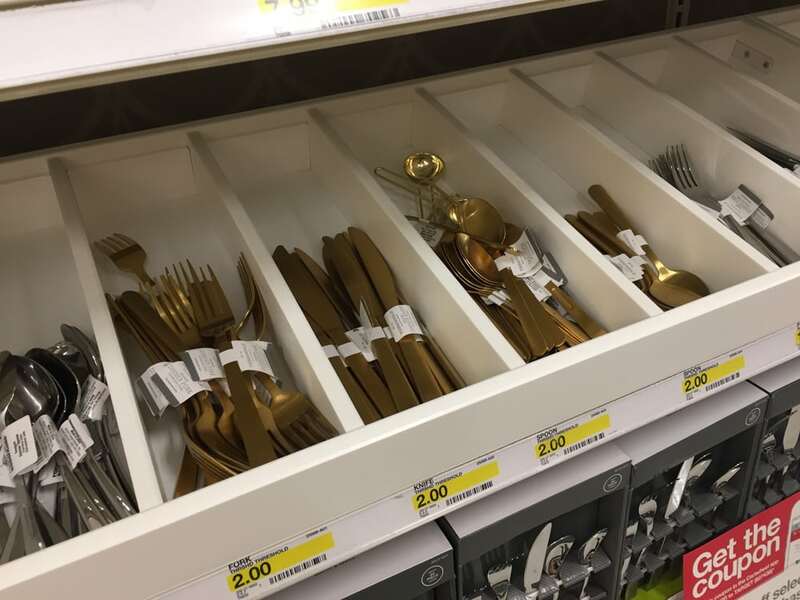 You can find a wide selection of cutlery at Target, including forks, spoons, and knives. In addition, Target sells a variety of knives designed to help you with meal preparation and knife blocks in which to keep your knives out of the reach of your children. In addition to the many items you should definitely buy when shopping at Target, there are also some that you should avoid because you can find them at lower prices elsewhere and some items are of lower quality. The next time you find yourself at Target, make sure to keep this list of items in mind and consider shopping around. 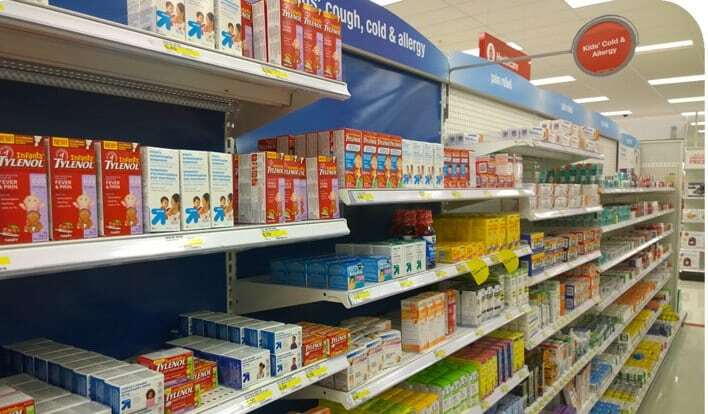 Since the pharmacy at your local Target was taken over by CVS, prices on medication have increased, with many deals that the retailer offered in the past now suspended. You should compare prices at other pharmacies. 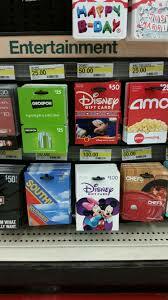 Avoid buying gift cards at Target as you can find the same cards at other retailers, such as Costco, at good discounts, even as much as 30 percent for some restaurant cards. Another option for purchasing discounted gift cards is online retailer Gift Card Granny. 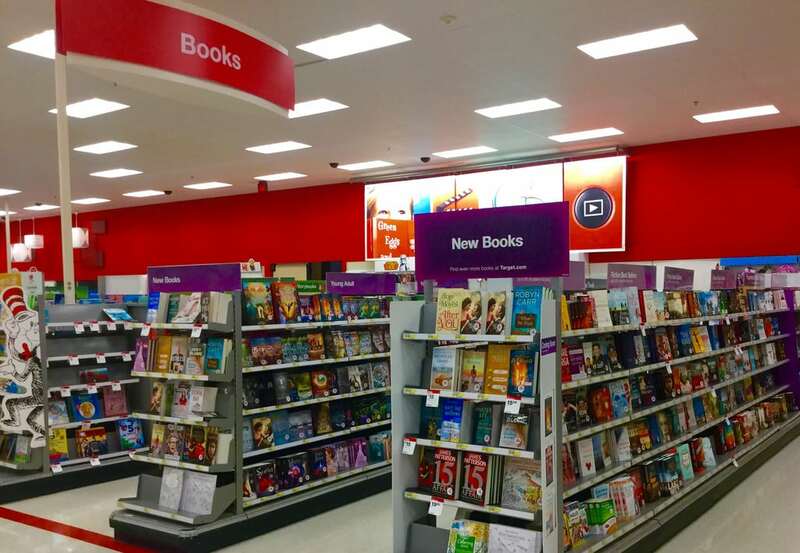 Books are another product you should avoid buying at Target. Most often, you can get the same book from Amazon for way less. Amazon also offers many of its books in e-book format, something that Target does not do. If you need to purchase high-end electronics, such as TVs and video game systems, you are better skipping Target and going somewhere like Best Buy to get the best deals. In addition, Target sells many off-brand products in its electronic department, some of which are of lower quality than name brands. 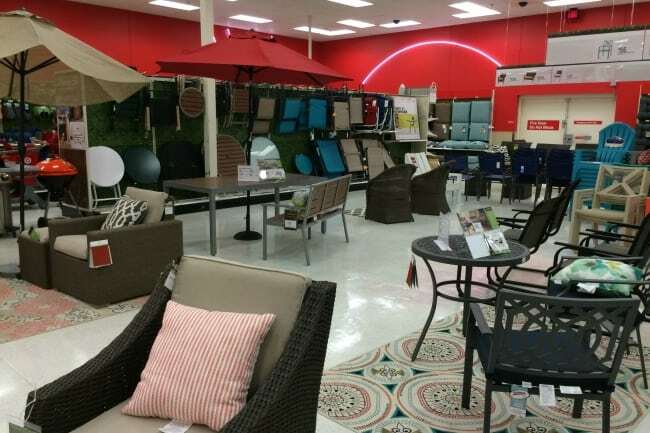 If you need furniture, then you should avoid buying it at Target. In addition to higher prices, some of the items sold at Target are of a lower quality than you find at other furniture sellers, such as Ikea. If possible, avoid buying shoes at Target. Most of the shoes sold at Target are of a lower quality than those found at online retailers or big-name department stores. In addition, Target tends to charge more for these lower-quality offerings.